Prior to the release of Dig Out Your Soul, Noel Gallagher has spoken to MusicRadar about the band's new demo-recording process. 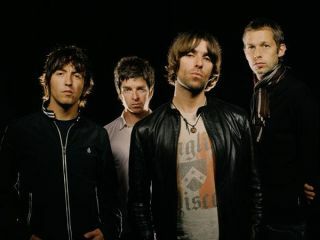 Following the "four and a half year" struggle to record Don't Believe The Truth, the Oasis guitarist reveals how he's ditched his elaborate home studio in favour of Gem's bedroom and his "little GarageBand computer". "I had my own fully functioning recording studio with an EMI II desk and a really cool Neve desk. But I kind of got sick of it because the demos were starting to sound better than the records," Noel told MusicRadar's US Editor Joe Bosso. "We actually do our demos now in Gem's bedroom on his little GarageBand computer". "We fell into this trap of recording a load of demos for a record, then going to America to make the record, preferring the demos and trying to marry the two. That's why Don't Believe The Truth took about four and a half years - it was a struggle". We can definitely see where Noel's coming from with this complaint. Large parts of the Gas Panic demo, among others, ended up making the cut in the final Standing On The Shoulder Of Giants album mix. You can listen to or download the full Noel Gallagher interview right here.